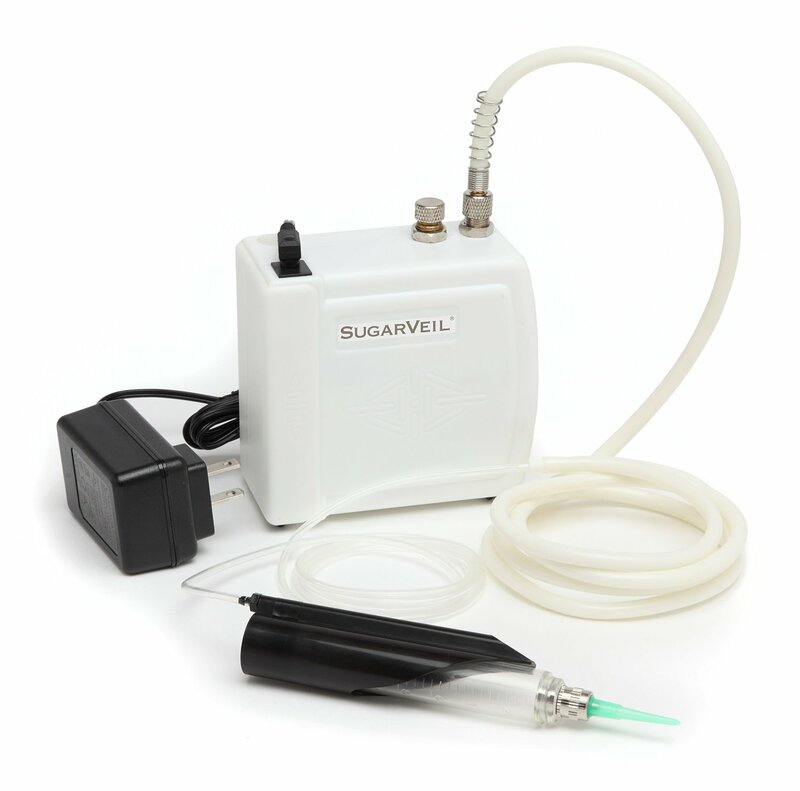 Includes a 12 Volt DC, 100V - 240V air pump and all accessories: 14 tips, 5 refillable cartridges, cleaning plungers, storage caps, followers, wire tool, instructions, SugarVeil® Confectionery Icing, and a convenient carrying case. 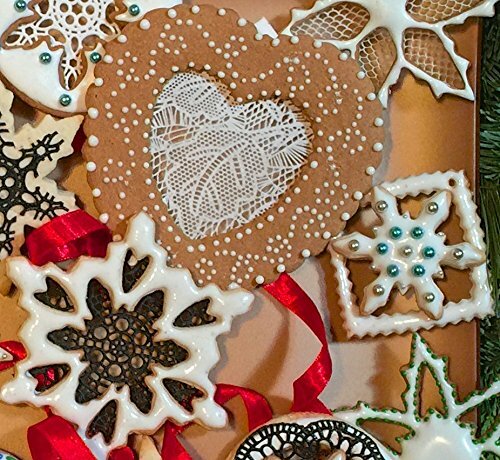 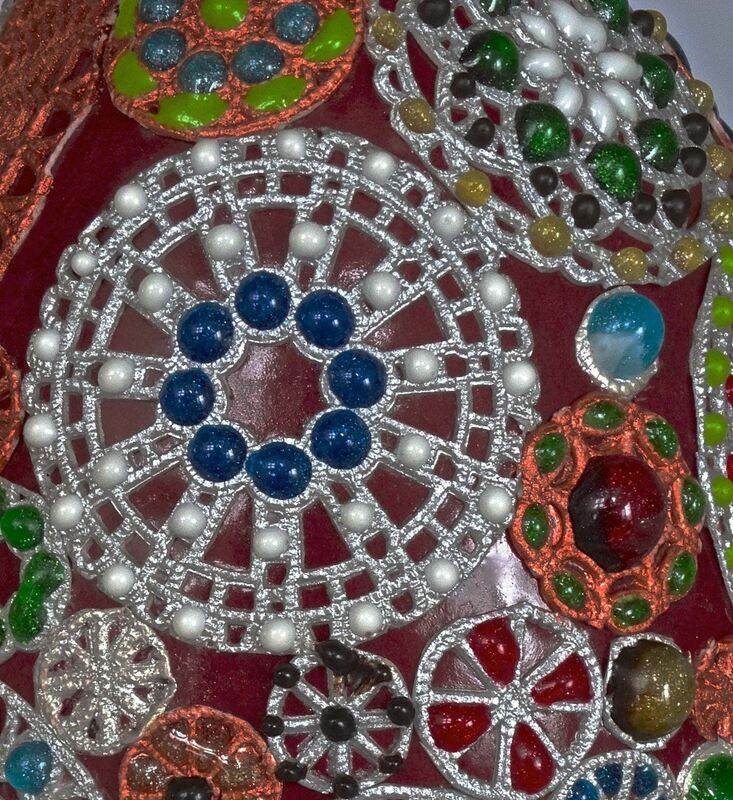 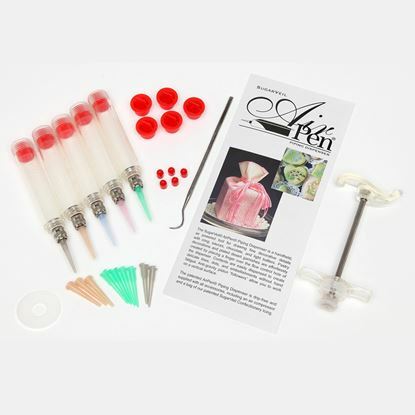 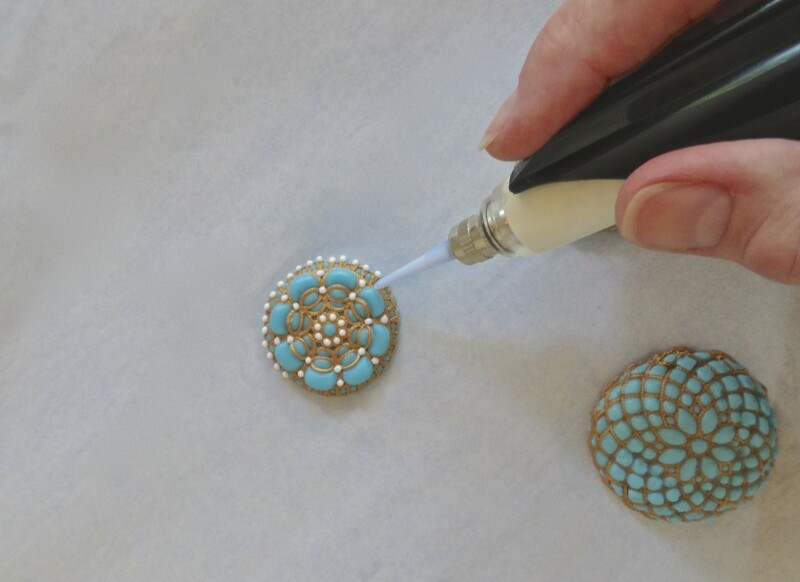 With much finer detail than possible than by piping, get amazing results whether you are a first time SugarVeil novice or if you are an expert cake decorator looking for exciting new techniques for your production-geared business. 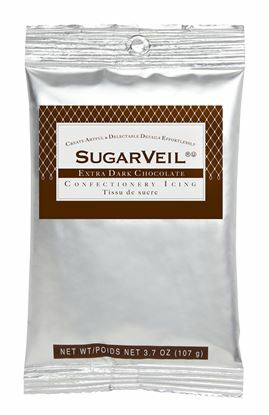 Decorate cakes and desserts easily and quickly when used with our delicious SugarVeil Icing. 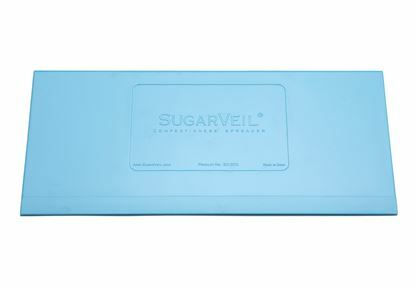 Featuring high-quality FDA approved materials, innovative design and tested to produce beautiful results. 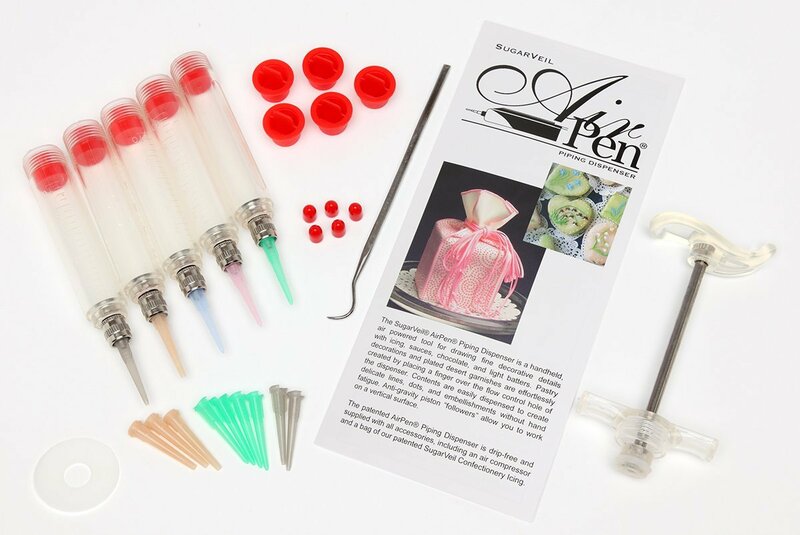 A part of the SugarVeil Collection of precision tools to create unique and innovative cake and pastry decorations.